Dolmen Duedesigned by Carlo Colombo is a table created with a combination of geometric components. 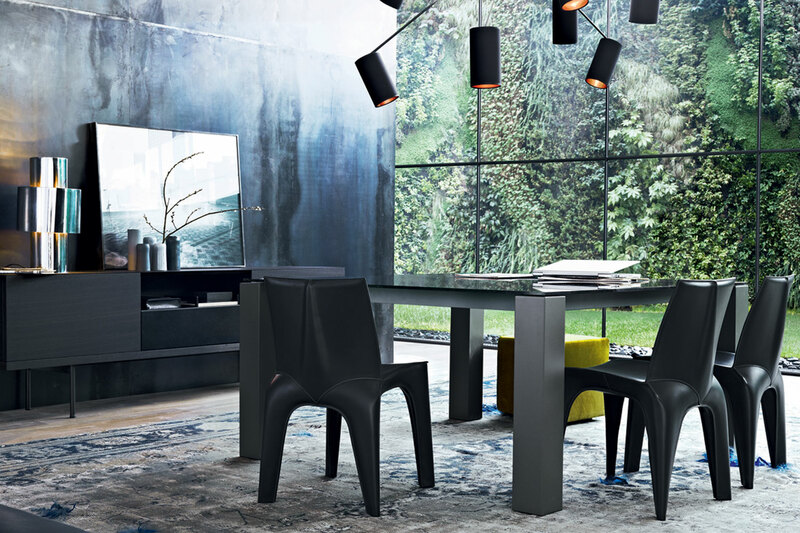 Its sharp corners, thin tabletop and streamlined base make the perfect accompaniment to the modern dining setting. It is available in two dimensions that come with a wood base and wood, glass or marble top. 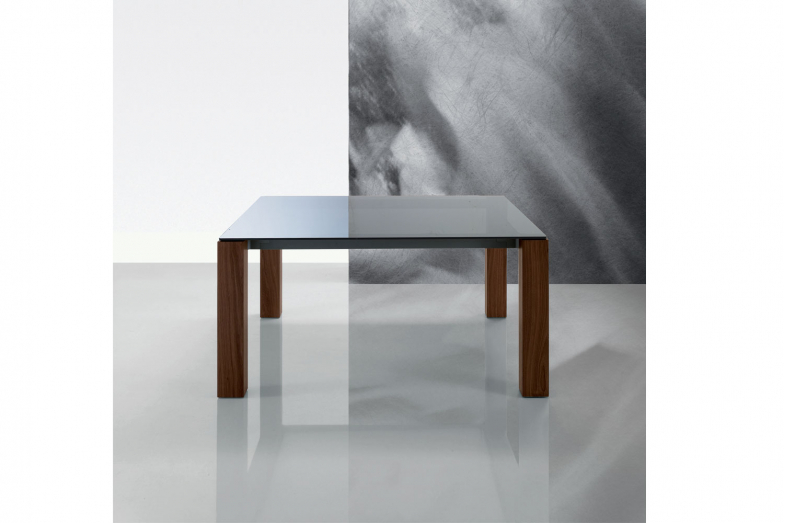 Top available in 32 mat/16 glossy lacquered, canaletto walnut, spessart oak, fume glass; white carrara or calacatta marble.